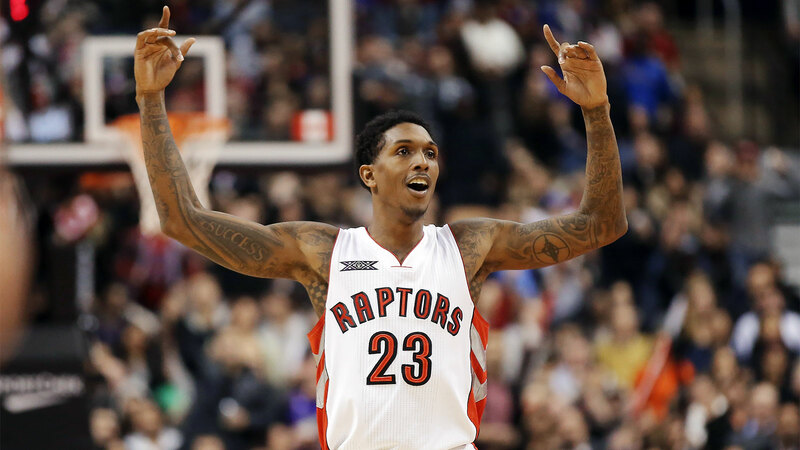 It's more than fair to say that the Los Angeles Lakers got a huge upgrade on their sixth man position with the signing of Sixth Man of the Year Lou Williams, formerly of the Toronto Raptors. Williams is a marked improvement on Nick Young in basically every category — and that includes in his willingness to learn from the greatest, Kobe Bryant. Williams told Basketball Insiders' Alex Kennedy that he was looking forward to playing with Bryant because "greatness is contagious." That theory didn't exactly work out for the Lakers the past couple of seasons, but Bryant has been injured and surrounded by the likes of Dwight Howard and the aforementioned Swaggy P. Maybe his usual greatness-osmosis simply doesn't work with certain players. Lou Williams, on the other hand? Lou Williams is ready to get down to business and help Bryant win his sixth ring. Lou Will on playing with Kobe: "It'll be fun. I’m looking forward to being around him. Greatness is contagious." Full interview coming soon.